With more than 15 years of experience, we at JMI Limousine are experts when it comes to providing our customers in the Portland metro area with superior quality limo service. We are happy to be able to provide first-rate luxury transportation for our loyal customers living in and around the Tualatin area. 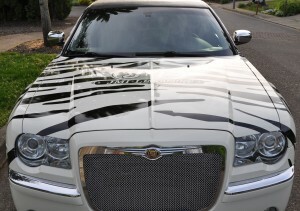 We provide the best Portland limo service at the best possible value. Our limo fleet is the lifeblood of our business. We own a collection of Portland party buses, limousines, luxury SUVs and town cars. Our impressive limo fleet enables us to provide luxury transportation for a wide array of special events and outdoor experiences. We can do weddings, graduations, bachelor and bachelorette parties, sporting events, funerals and much more. We offer a selection of different tour packages so you can go skiing, mountain biking or golfing without having to worry about transportation. Our drivers are also trained to give fun and engaging Oregon wine tours. They know which wineries to go to and which wines to try, so you can sit back and relax and leave all of the planning and transportation to talented and accommodating chauffeurs. We have been the number one Portland limo service since 1994, and between then and now we have experienced zero accidents. Some limousine companies do not properly inspect and maintain their vehicles, and as a result experience a lot more accidents. At JMI Limousine, our vehicles are frequently inspected and upgraded so that they pass inspections performed by certified master mechanics. 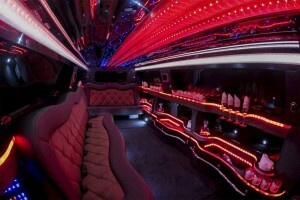 Our fleet of Portland party buses and Portland limousines is the nicest and safest limo fleet in the city. Not only are our vehicles safe, our drivers also must regularly pass tests to ensure that they are driving responsibly. We demand excellence from our chauffeurs. We perform numerous background checks on all of our drivers, and they all must pass a comprehensive driving test before even being considered for employment. We also like to hire drivers who are charismatic and outgoing, so that your experience with us will be as enjoyable as possible. Our main office is located in Beaverton, right off of highway 217. It is only a 15 to 20 minute drive from central Tualatin, so you can conveniently visit us and check out our fleet. We are always more than happy to give our customers a tour of our vehicles, both inside and out. Contact us any time online or by phone if you have any questions for us or if you’d like to request a free rate quote.